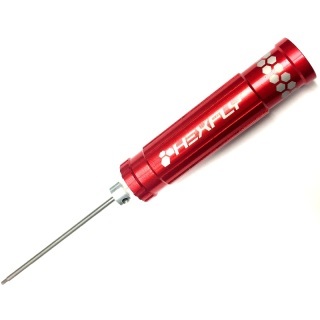 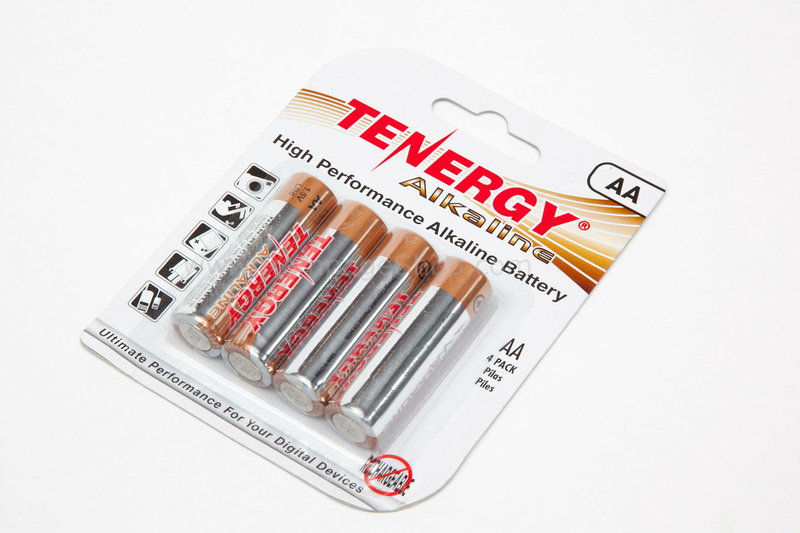 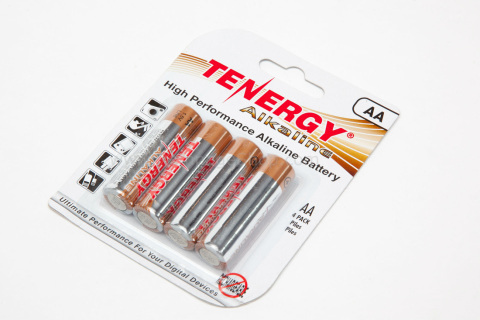 NEW: $4.97 USPS Shipping Now Available! ​Are you ready for 8S power? 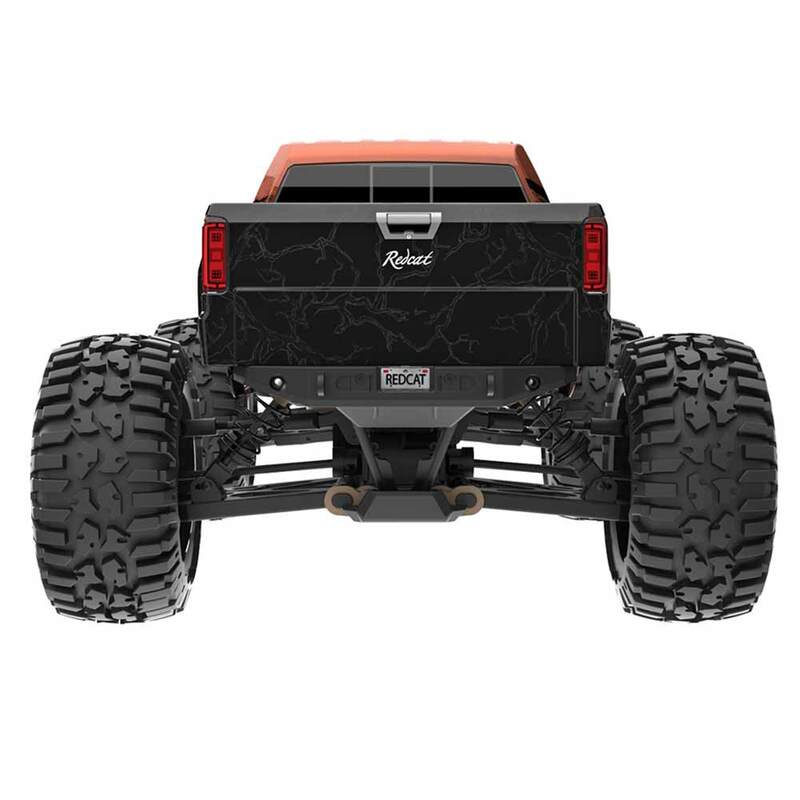 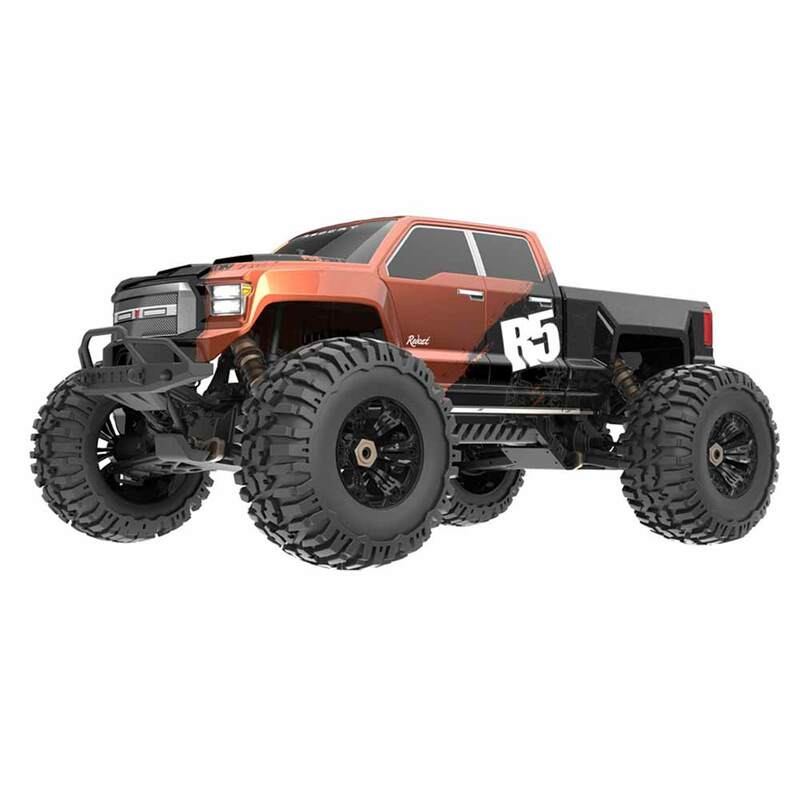 Then the Redcat Racing Rampage R5 1/5th Scale brushless monster truck is just what you need. 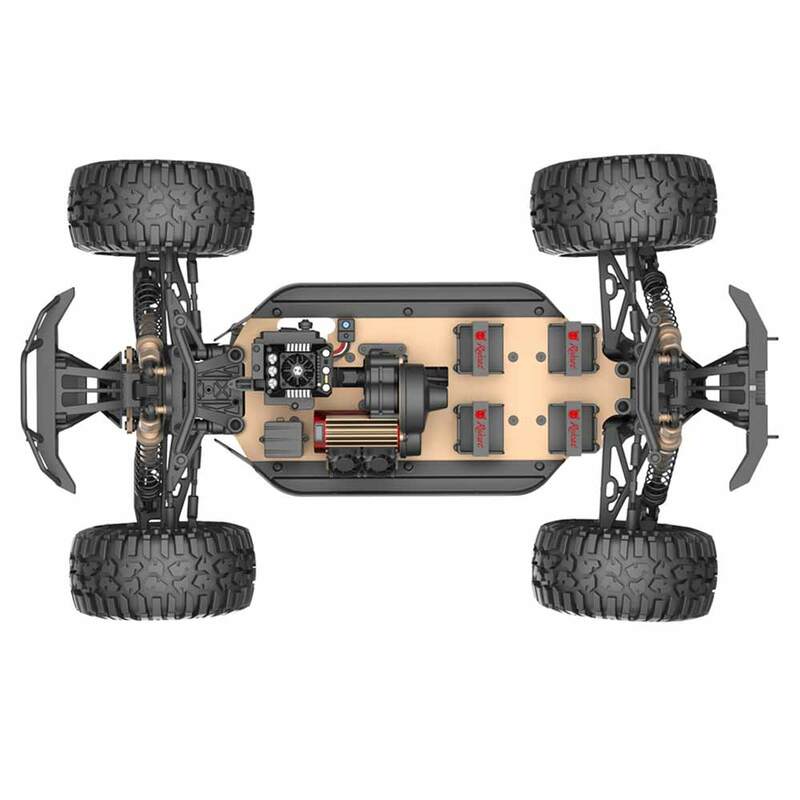 The R5 comes fully equipped with an 8S Ready Power System. 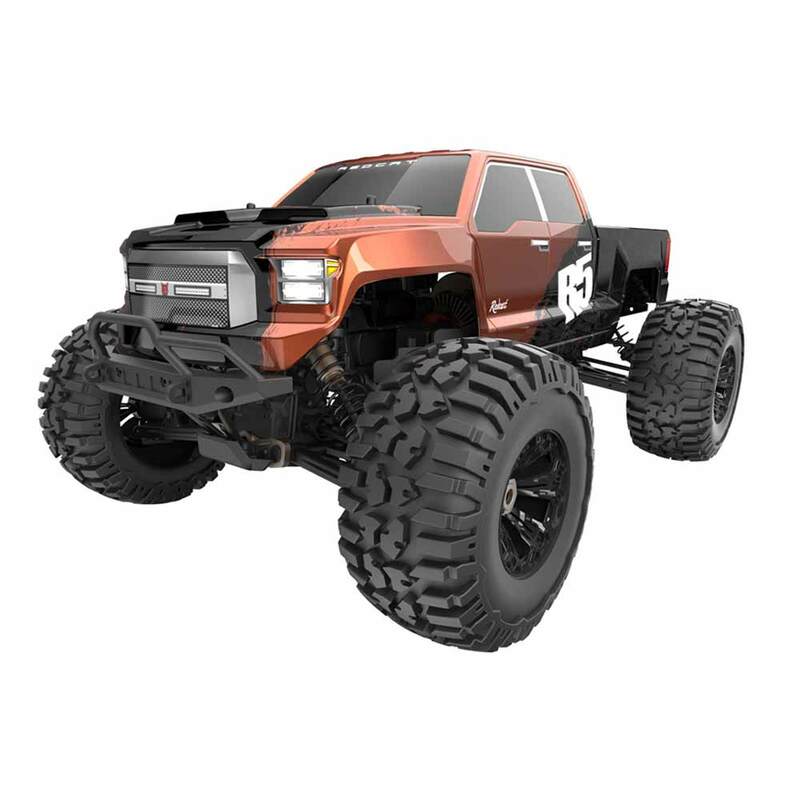 The R5 is a big truck that looks and drives amazing! 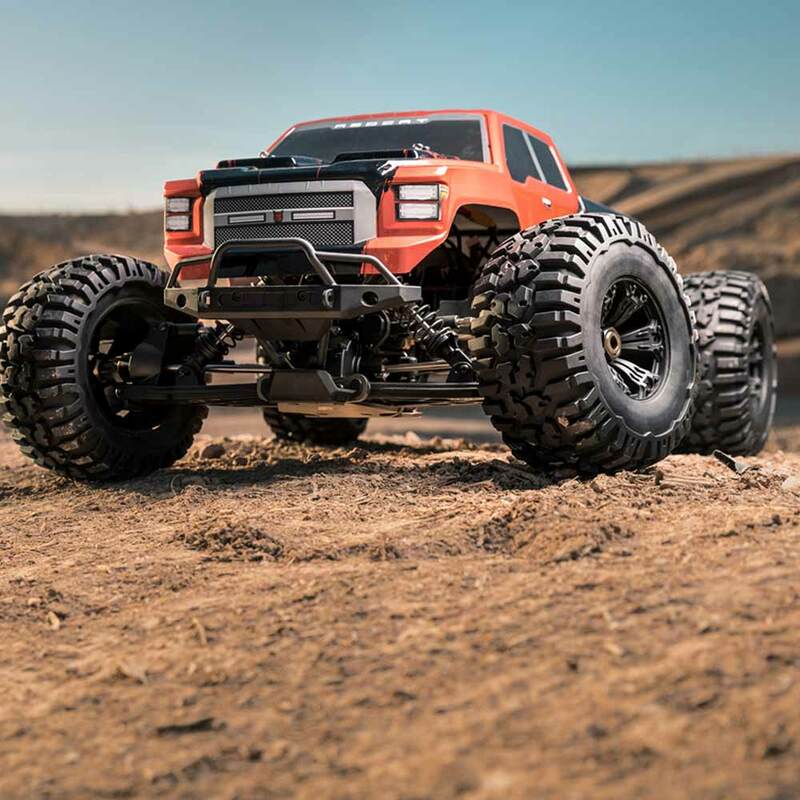 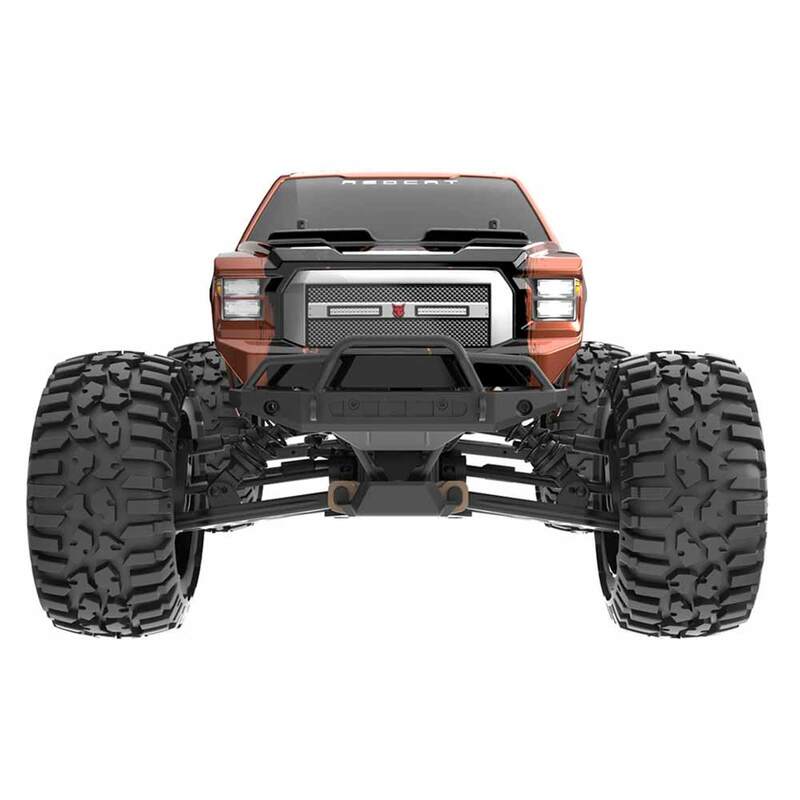 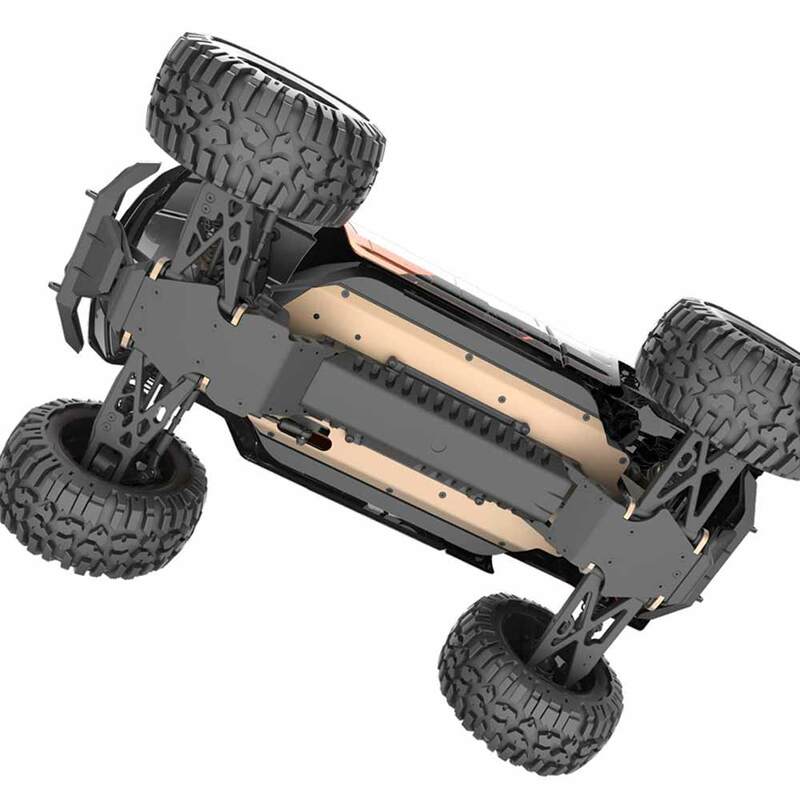 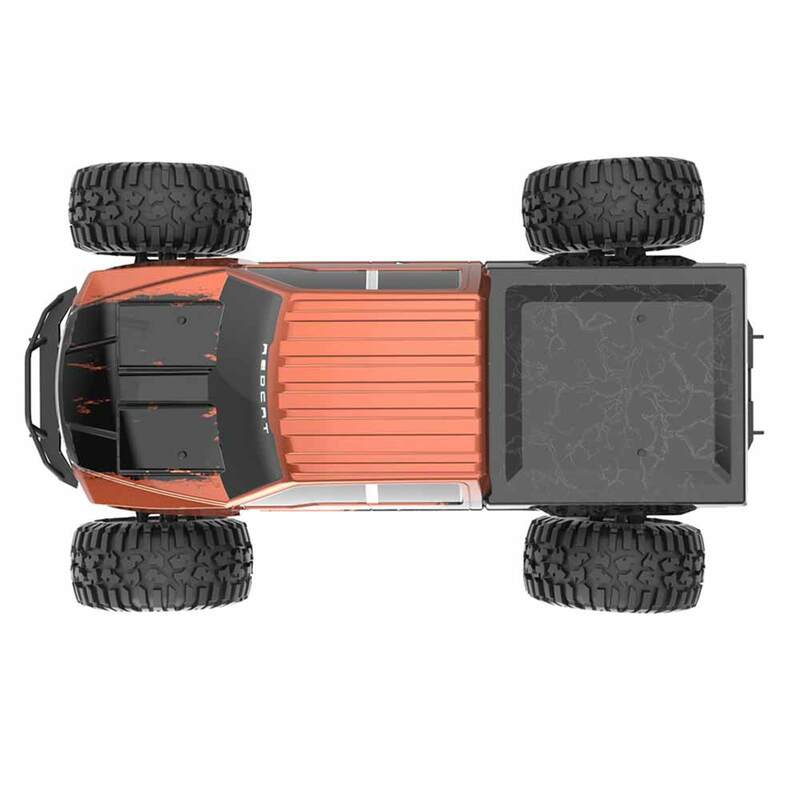 The high ground clearance chassis design gives the R5 more clearance when driving over obstacles like logs, rocks, and other large scale RC vehicles. 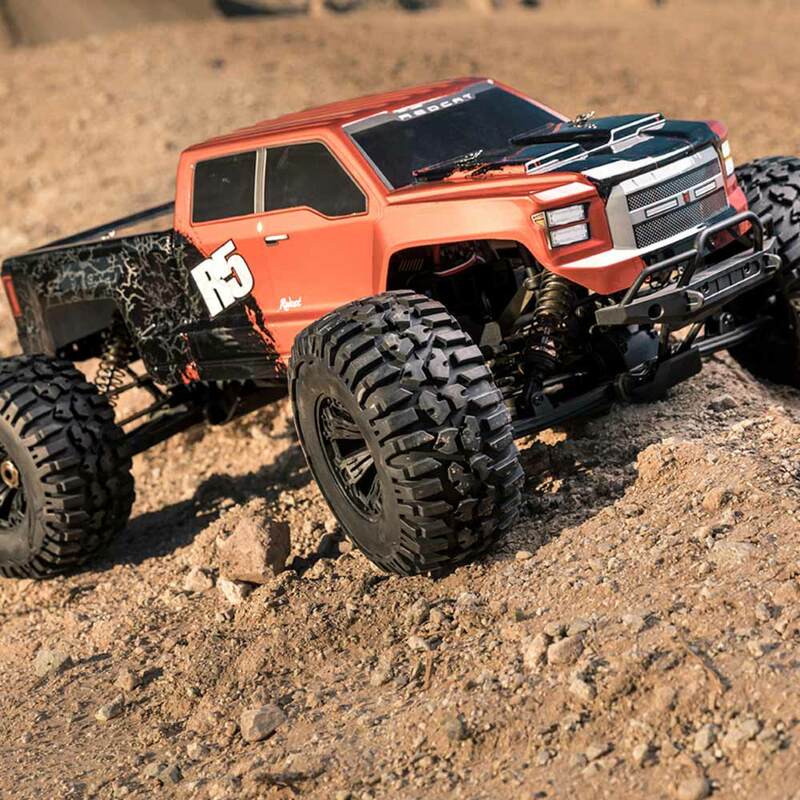 Handling characteristics of the R5 are amazing, and its sheer size, coupled with the high clearance chassis, this 1/5 scale monster can be taken almost anywhere. 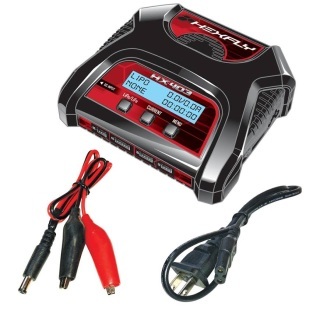 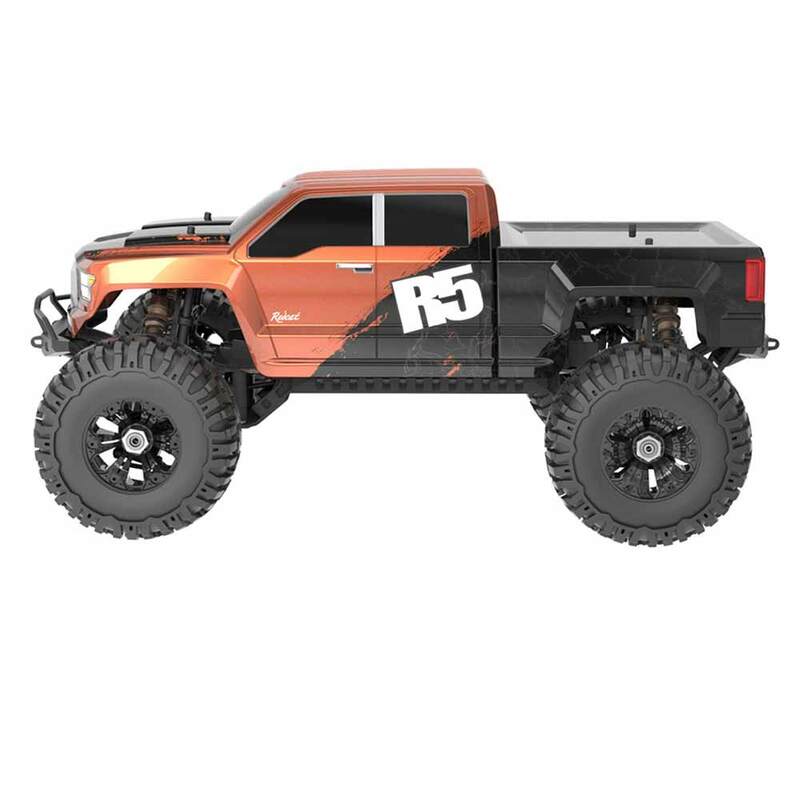 The R5 is ready to run right out of the box, just add your own 6S-8S LiPo batteries (XT90 Connectors) and charger. 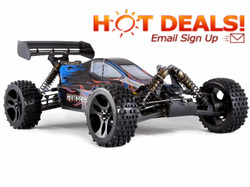 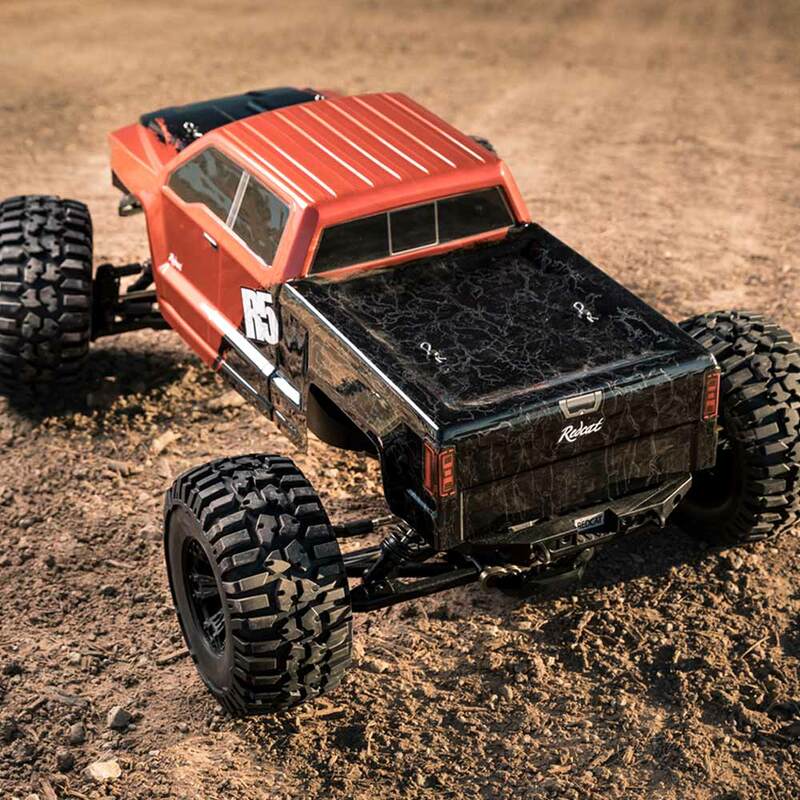 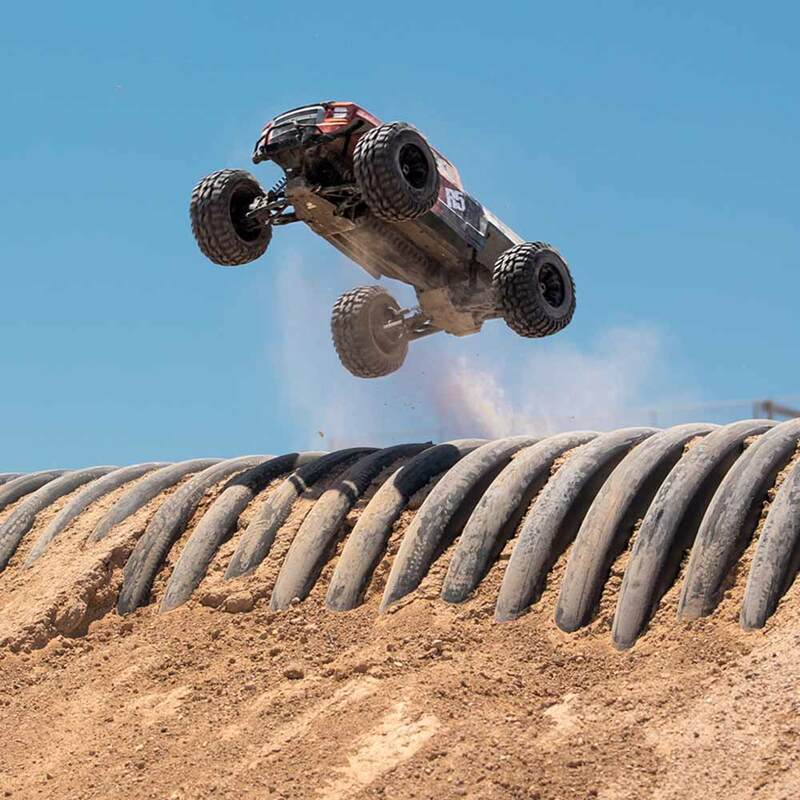 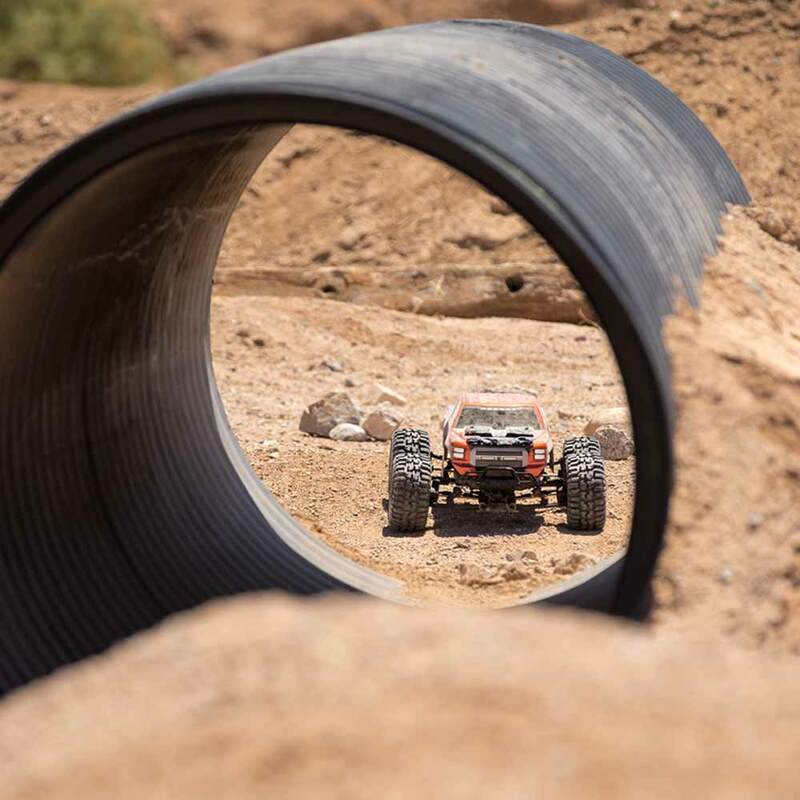 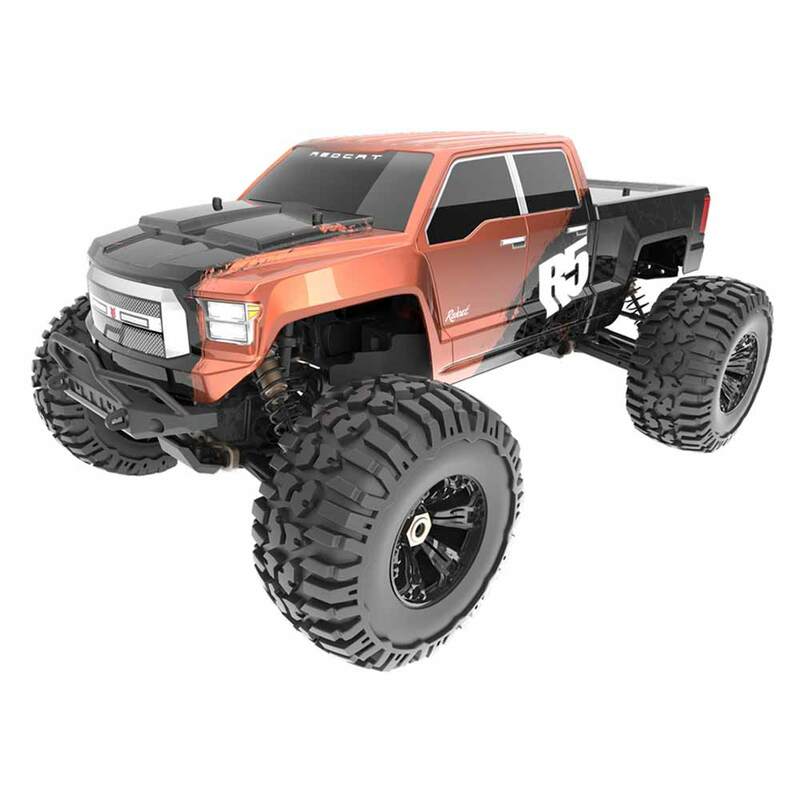 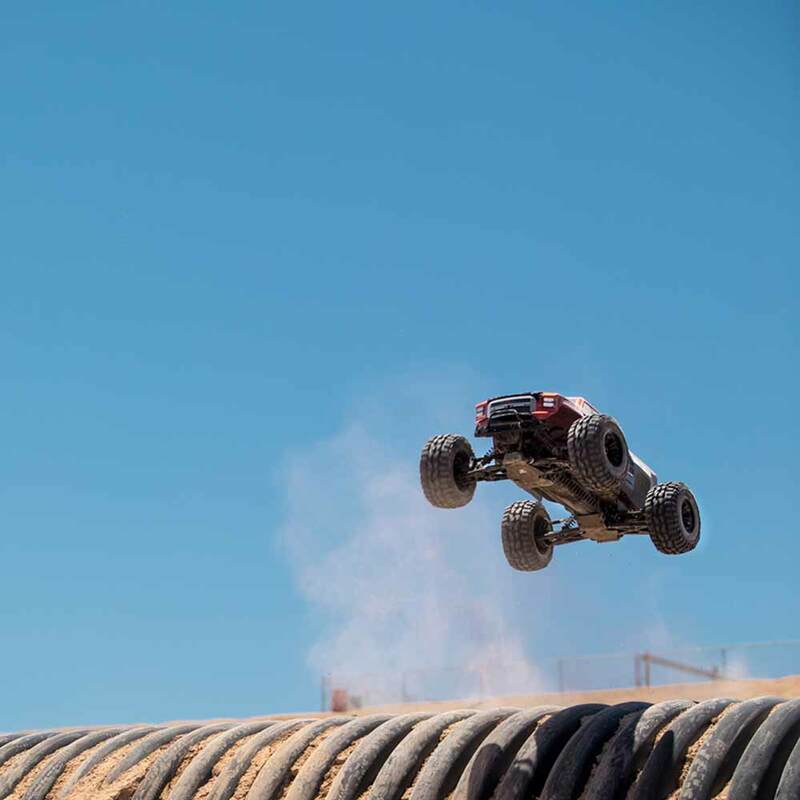 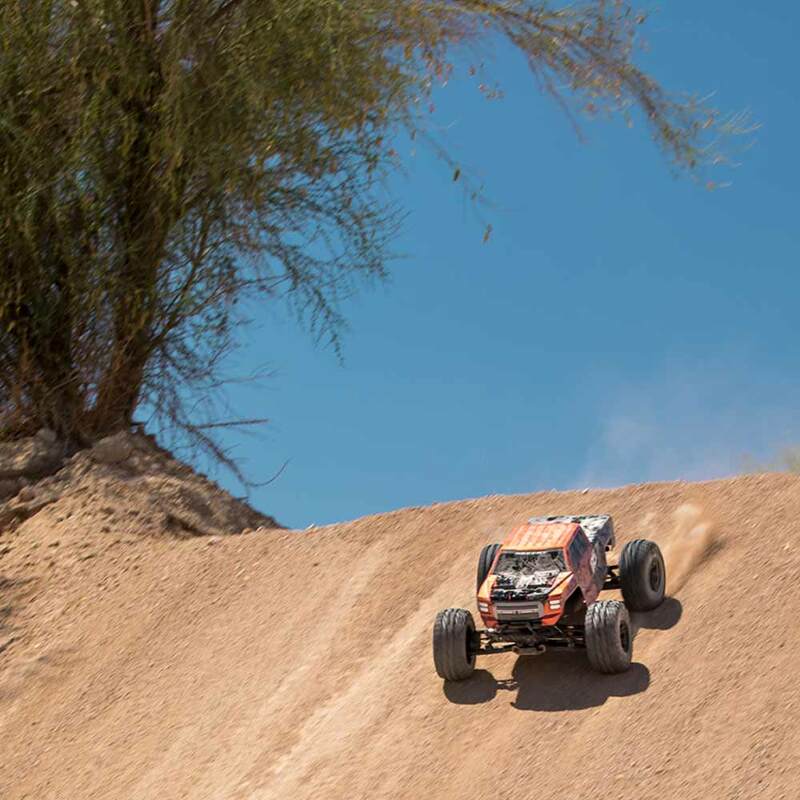 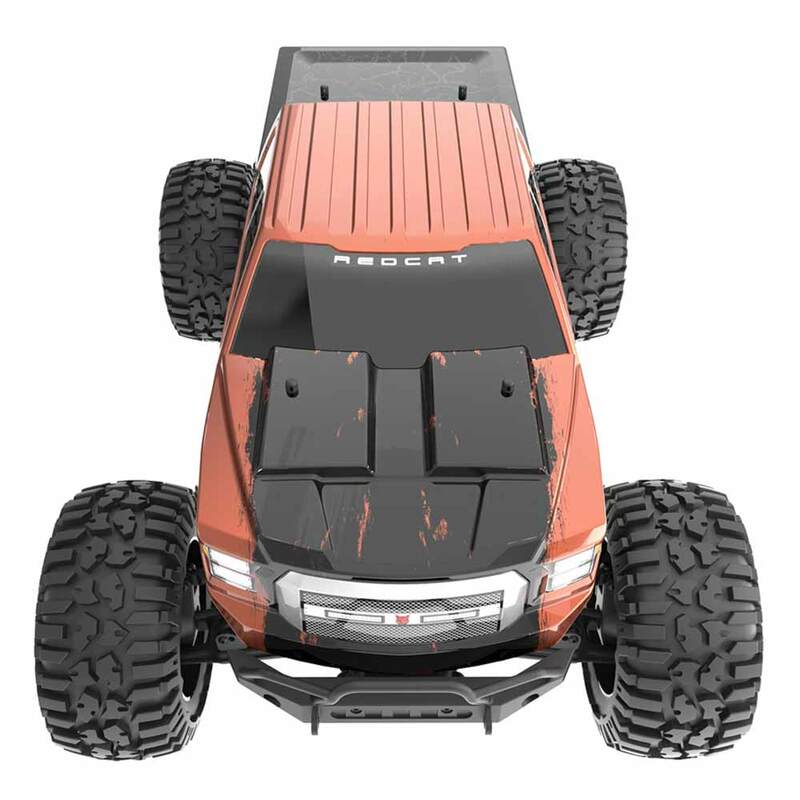 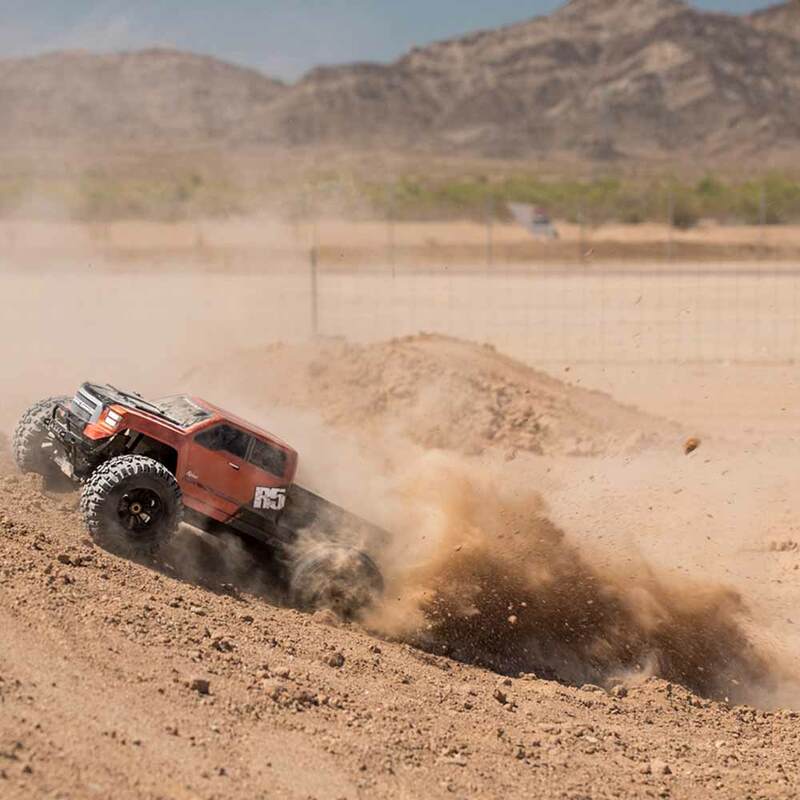 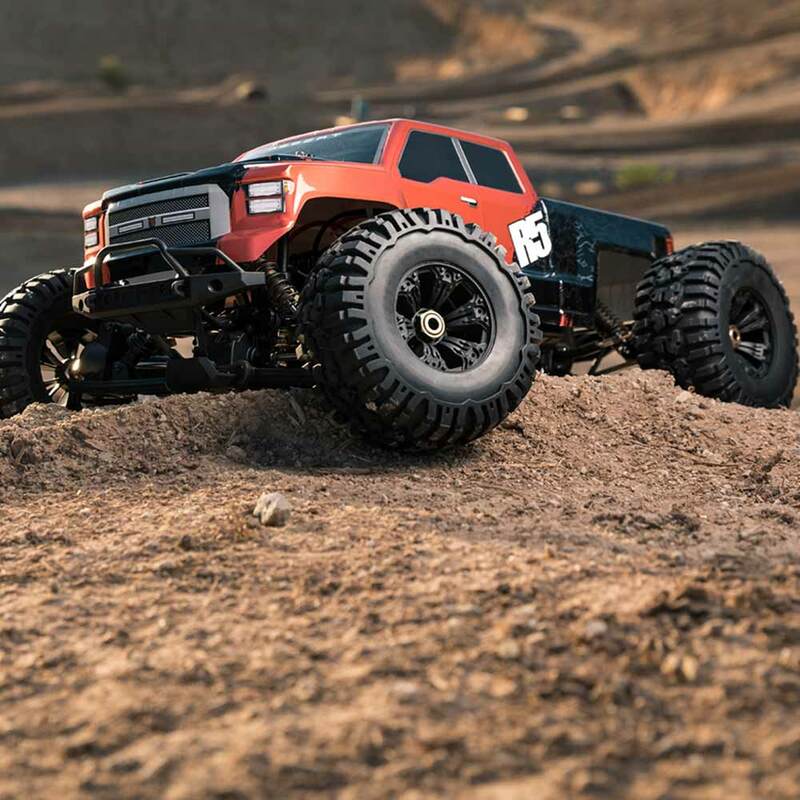 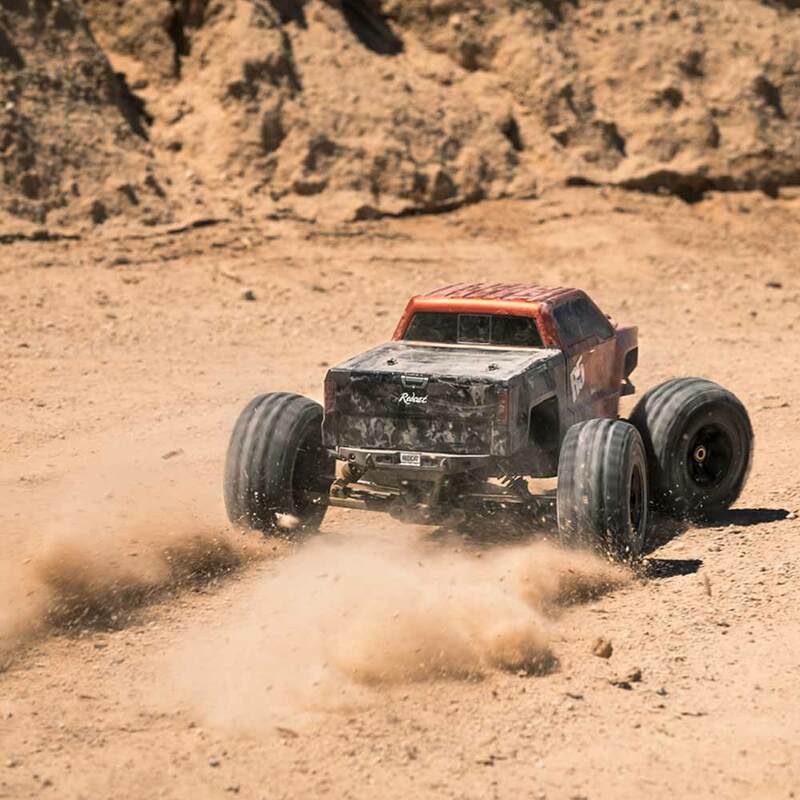 The R5 includes Redcat’s new large scale high clearance chassis, waterproof electronics, and powerful brushless ESC and motor, and 2.4GHz radio system. 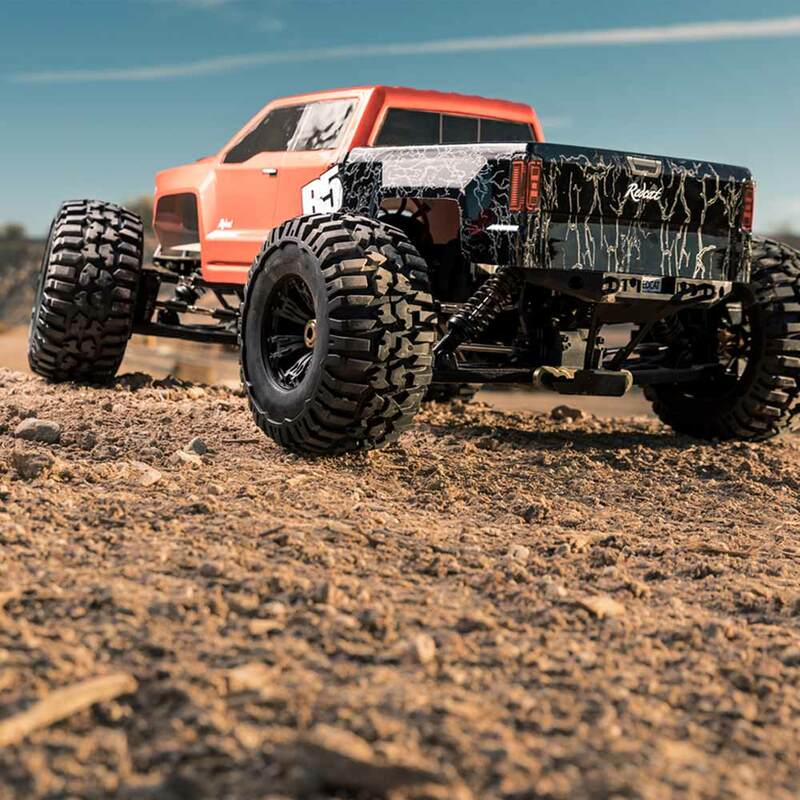 The R5 has oil filled threaded shocks and rides on a set of aggressive off road tires. 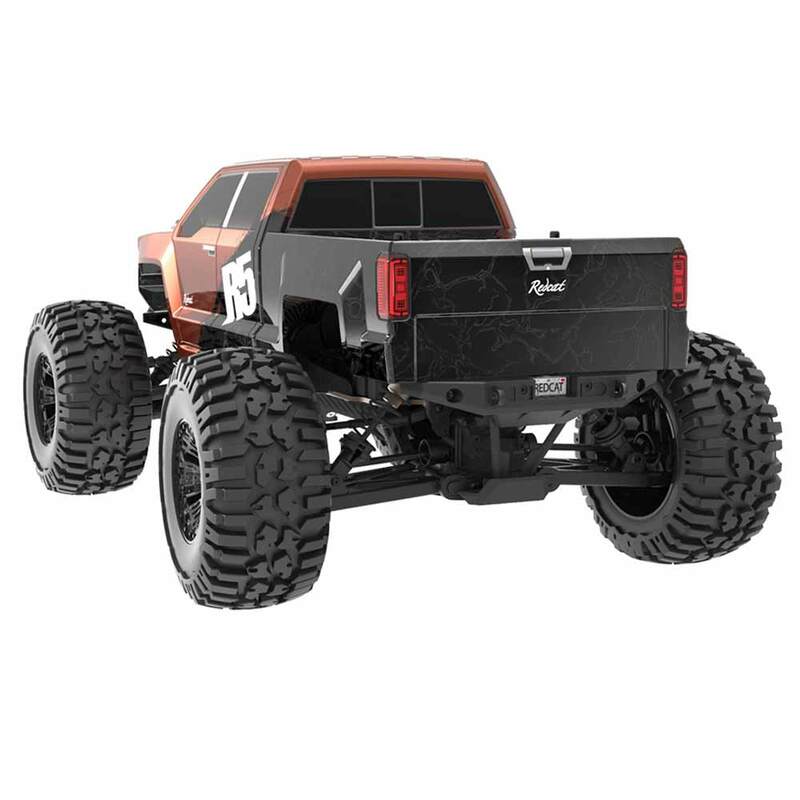 The powerful brushless motor blasts this high clearance monster truck through rough terrain with ease. 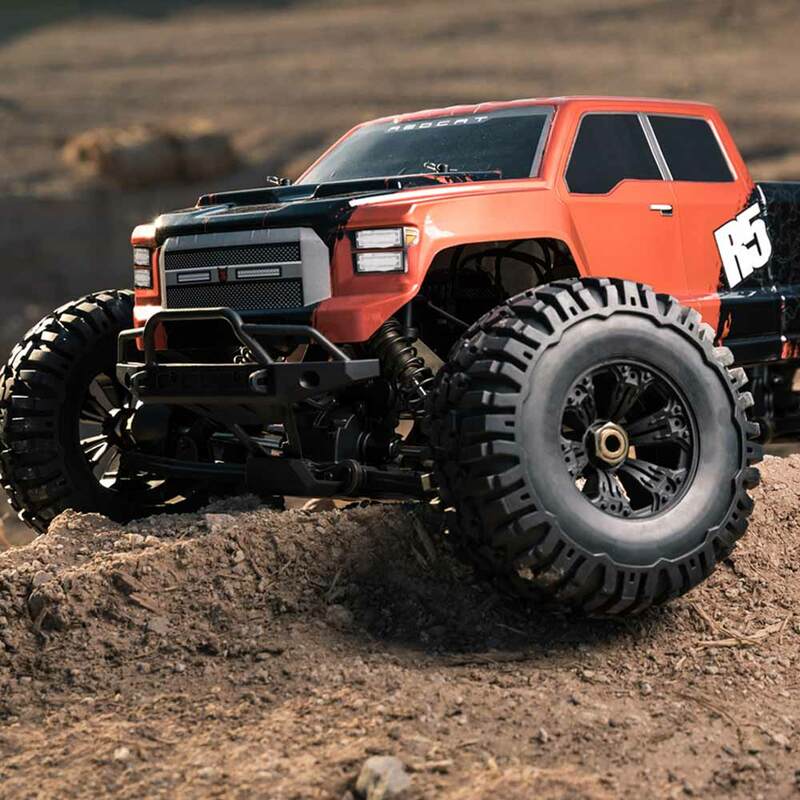 The R5 is a big, bad, powerful monster truck. 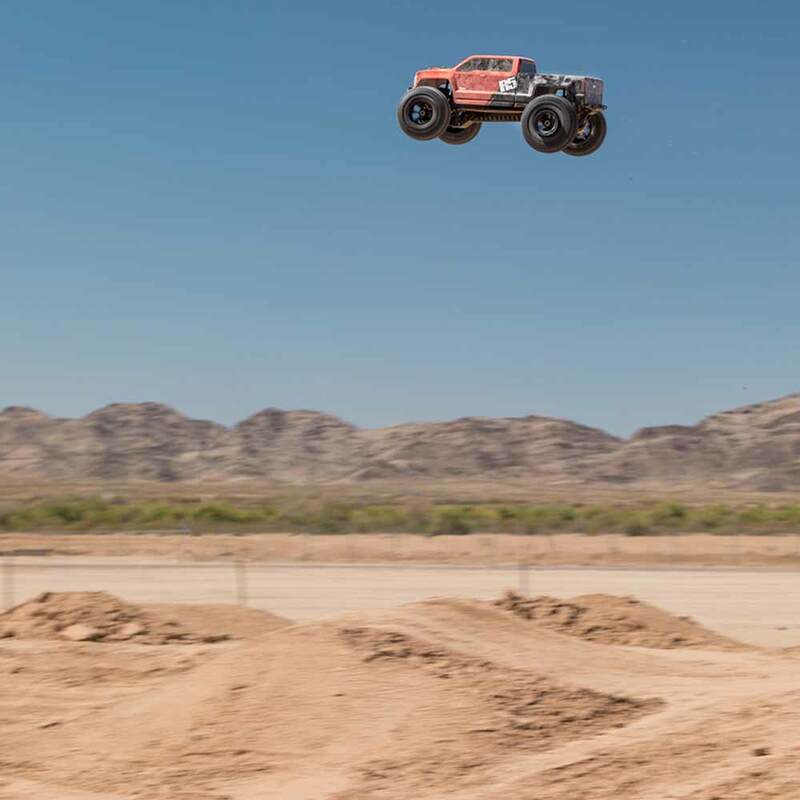 Caution should be taken when operating this vehicle. 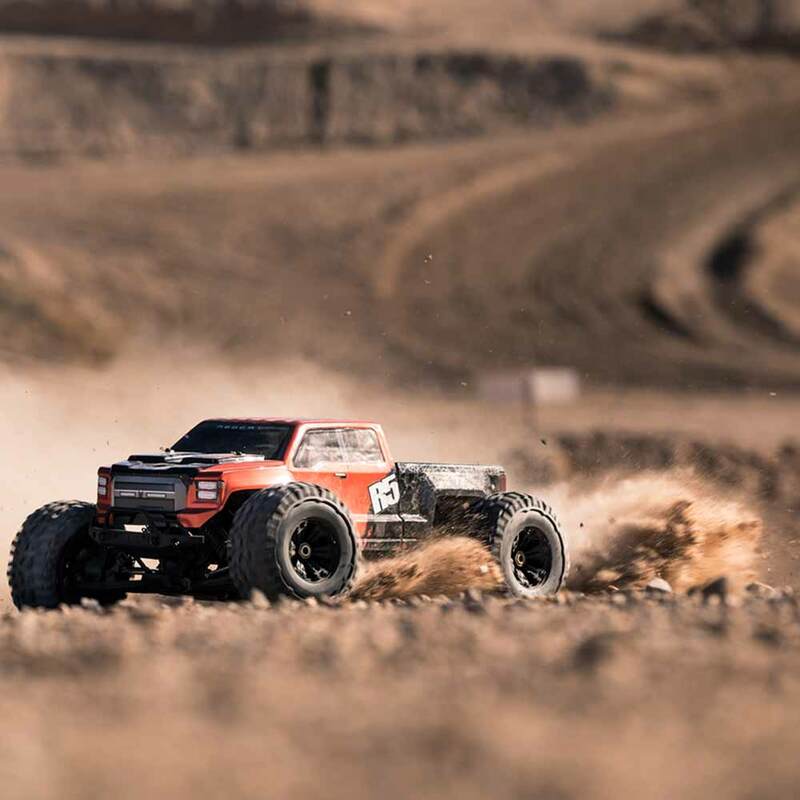 The R5 was designed to be a powerful performer that will leave a lasting impression on anyone who gets to see it in action. 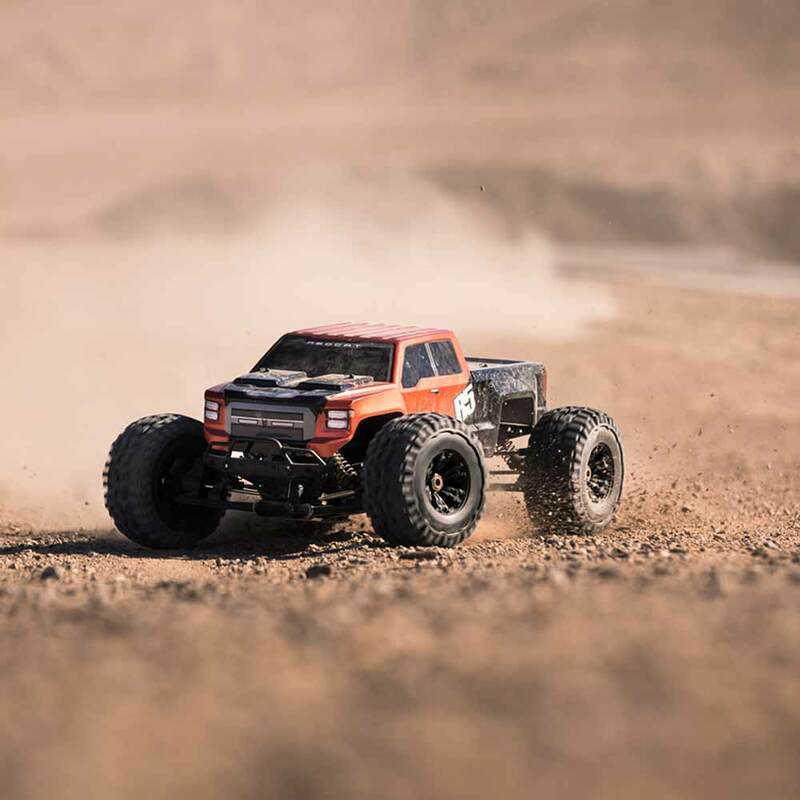 The massive amounts of airborne dirt particles and sheer large scale excitement will put a smile on most faces, and you are lucky enough to be the one controlling the R5, you will not want to put the controller down. 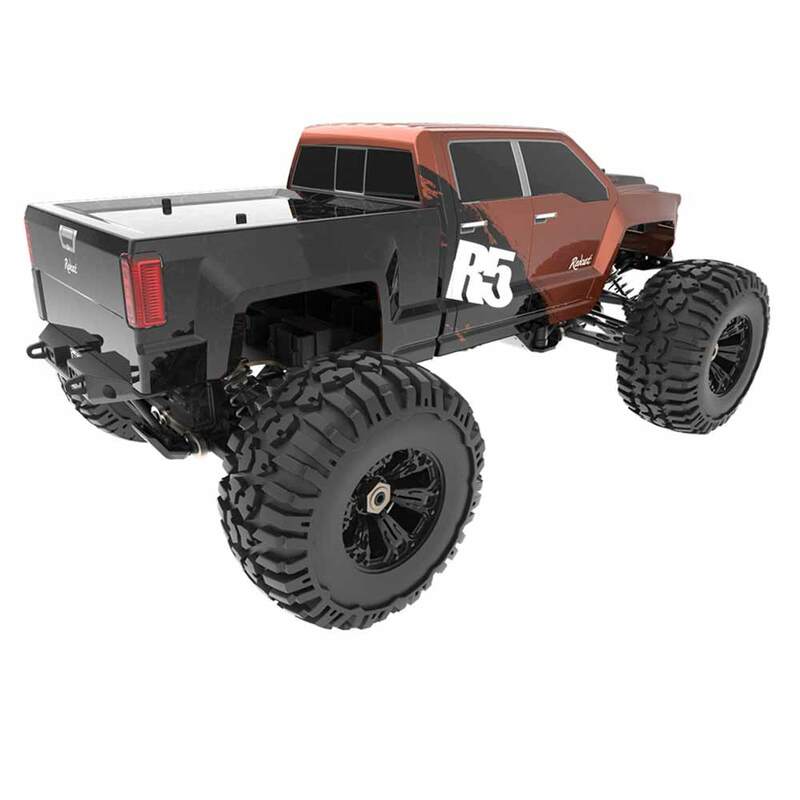 The R5 is pure excitement! 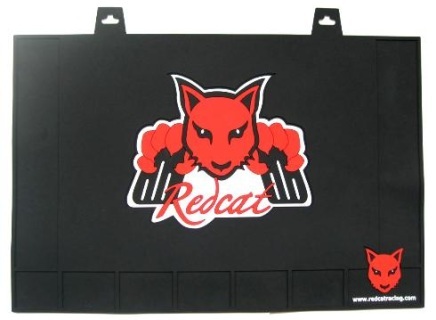 29.3" x 19.5" Washable & durable the Redcat Pit Mat is the perfect item to protect your desk or work space. 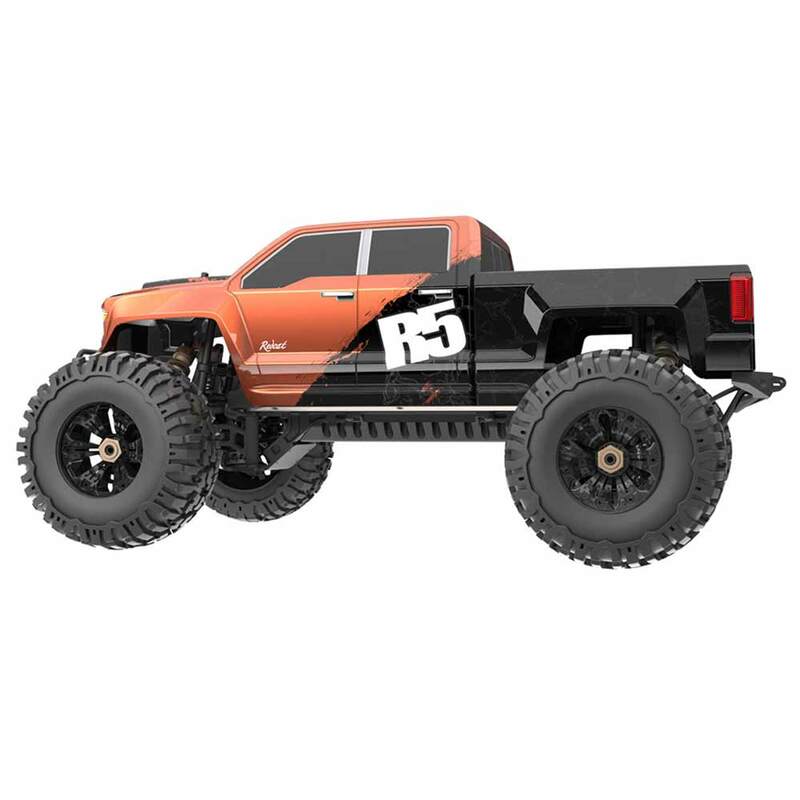 The pit mat can be rolled up for easy transport and is made of PVC rubber type material so it will not slide off your work space.